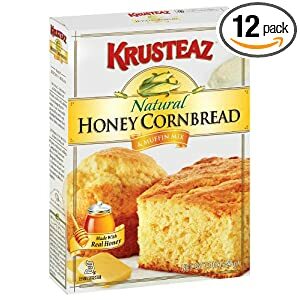 Learn How to Make Cornbread Muffins From Scratch with this Illustrated easy recipe for how to make cornbread muffins with corn kernels, not cornmeal! 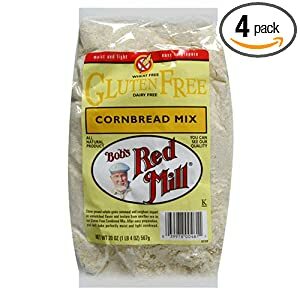 Usually cornbread muffins are baked from ingredients using cornmeal, but for those times when you don’t have any in the pantry, or for those of us who prefer using fresh ingredients for a more moist cornbread muffins, try this recipe that uses fresh corn. 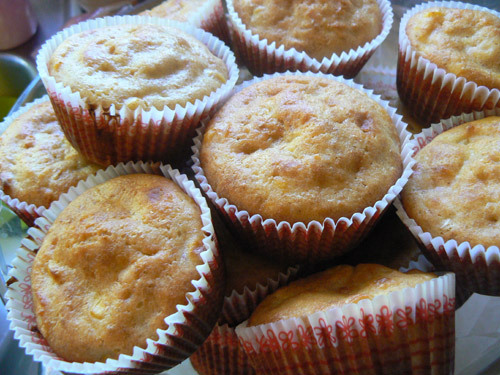 This cornbread muffin recipe is pretty easy to make, yet the results are delicious and moist. 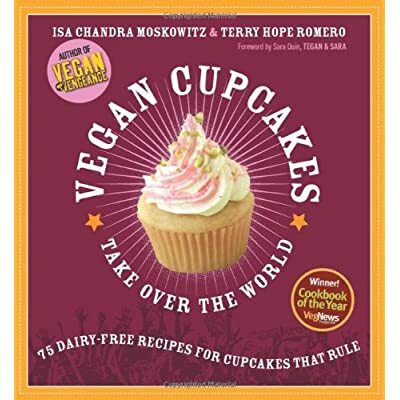 You can also make these with whole wheat flour, but we found that all purpose flour is a good substitute as well. 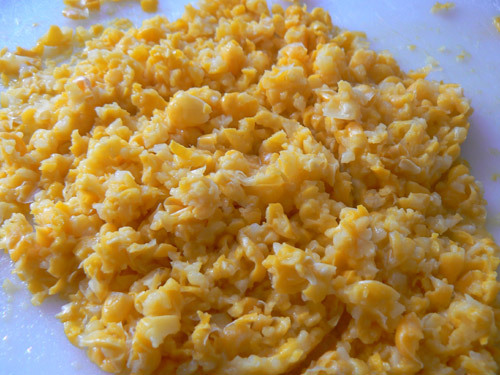 3 cups of fresh corn kernels, canned or thawed frozen corn. First of all preheat the oven to 400 Fahrenheit. Then by hand or using a food processor, chop up the corn kernels roughly into chunks until they look something like in the picture. 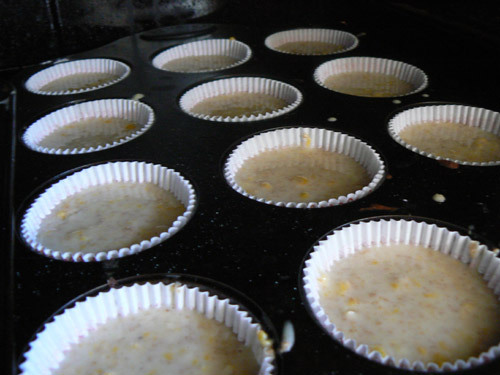 The moist chunks of corn kernels help to keep the muffins interesting in texture and flavor, so I would just chop them roughly. Set the corn at the side ready to add. Next you mix all the dry ingredients together in a large bowl, adding the the flour, the sugar, the baking powder and the salt. 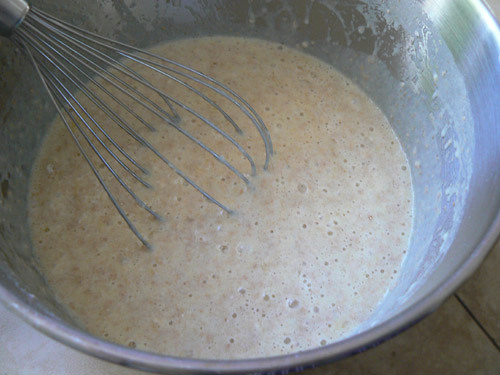 Then its time to add the liquids, first add the beaten eggs, then the milk and your choice of nut or vegetable oil. Stir this liquid together until well combined. 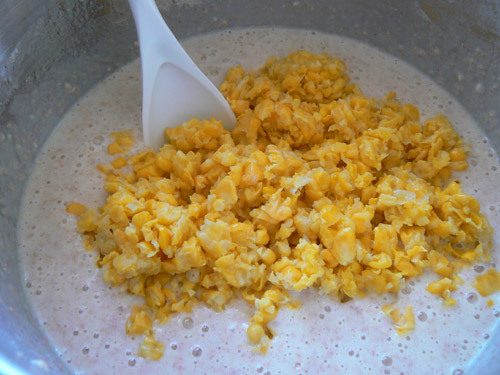 Now it's time to gently stir and fold in the chopped corn kernels, until the mix is evenly distributed throughout the batter. 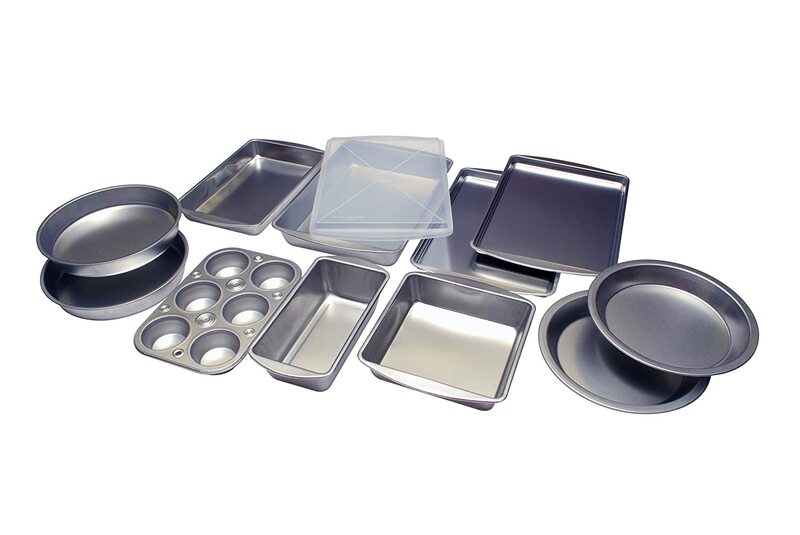 You need to line your muffin tins with 24 paper cases or coat with oil to release the cornbread when baked. 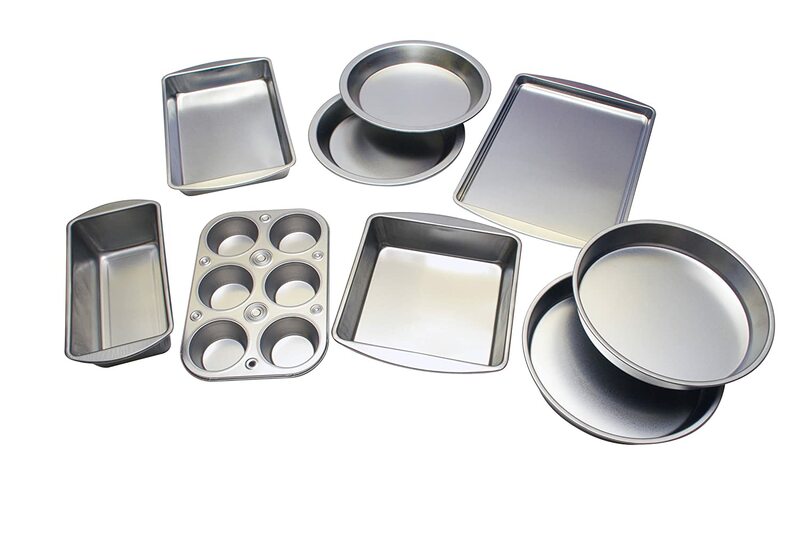 Then pour the batter evenly between the 24 muffin tins. Bake at 400 F for 20-25 minutes or until golden and raised up. 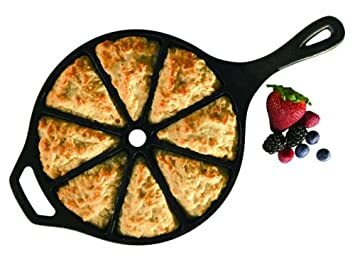 You can test for when they’re done by gently pressing your finger on the top of the muffin, and when you release your finger the muffin springs back into shape. Another way to test if they are cooked is to stick a bamboo skewer into the center of the muffin, and if it comes out clean, with to gooey batter sticking to it, then its done. 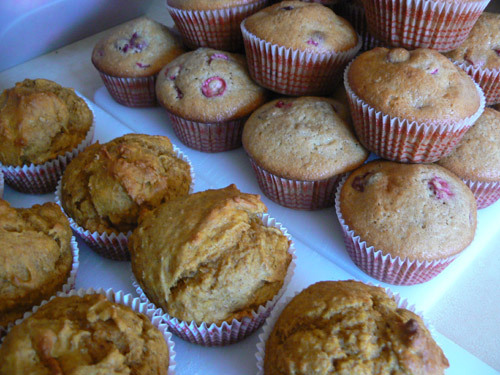 Serve these muffins while they are still warm. Add a little butter if you like extra moisture and flavor. And that is all there is to Learning How to Make Cornbread Muffins From Scratch! You can experiment with extra flavors by adding some cooked and mashed pumpkin or cranberries to the batter. 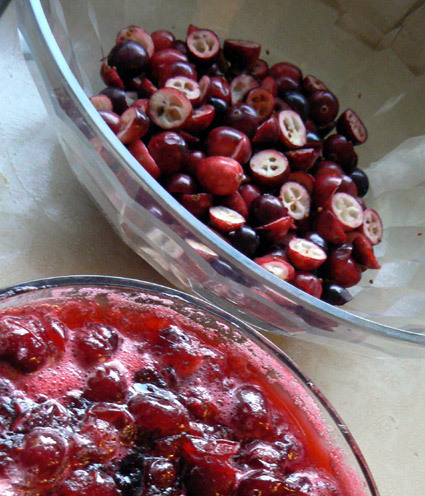 You can also make different sauces and jellies to serve with your cornbread. I hope you found this illustrated recipe guide for How to Make Cornbread Muffins From Scratch useful, and will bake a batch today. Please post in the FB comments below to let us know how they turned out for you. 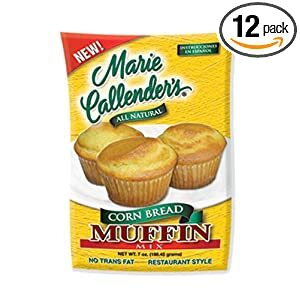 If you don't already know How to Make Cornbread Muffins From Scratch, then there is a good chance that you may be short of some basic cooking ingredients and supplies that every well stocked kitchen needs. 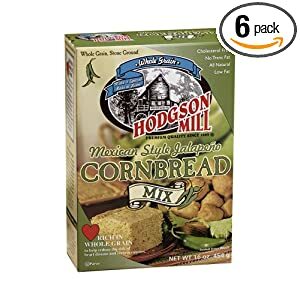 So here are a few things to consider, including some cornbread mixes that you can have in the pantry to use on short notice baking days! 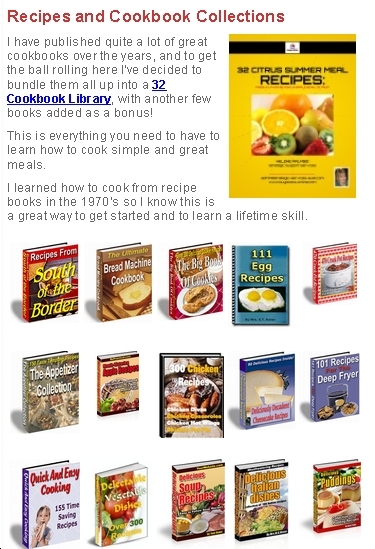 I have an amazing recipe library of 32 cookbooks - on sale today! Entering your tip or recipe is easy to do. Just type!